Take your family on an exciting holiday by opting for this exclusively designed family tour in Sri Lanka. While the young and the fit are away climbing the “Mini Adam’s Peak”, the old can sit back, relax and enjoy the views from their hotel, or everyone can enjoy a game drive day out at the Yala National Park. Every destination on this itinerary has something special to offer for the young and the old! Giving yourself a lovely sun tan on the southern coast beaches of Sri Lanka. Absorb stunning views during your train journey across the hill country. Enjoy a family friendly jeep safari at the Yala National Park while looking out for unique animal species throughout the drive. Upon pick up at the Bandaranaike International Airport, you will be driven to the neighboring city of Negombo where your family tour in Sri Lanka will begin at Jetwing Blue(hotel). Depending on the time of the day in which you have arrived, you may have time to go on a Muthurajawela boat ride. Your night stay will be at Jetwing Blue in Negombo. The next morning you will head off to Sigiriya and en route you have a chance to visit the Pinnawala Elephant Orphanage and mingle with the elephants there. Your overnight stay on day two will be at Heritance Kandalama in Sigiriya. On day three you will visit the “Lion’s Rock” in Sigiriya which you can climb if you wish to. 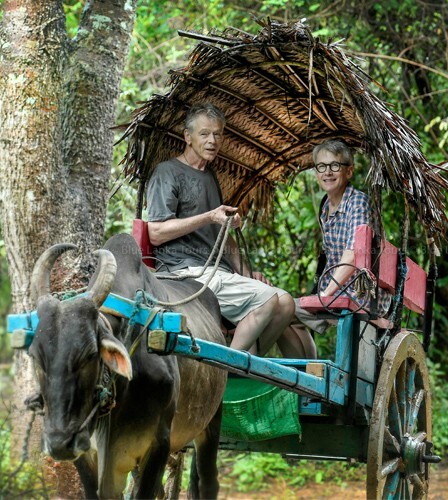 You will also be taken on a Sigiriya Village tour on a traditional Bullock Cart. Later in the day you will be driven to the neighbouring city of Polonnaruwa where you can explore the ancient ruins. You will then return back to Heritance Kandalama in Sigiriya for your night stay. 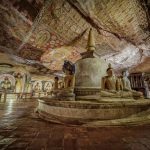 On day four of this family trip in Sri Lanka will visit the Dambulla Cave Temple in the nearby city of Dambulla and then drive to the city of Kandy. Once there you will obtain blessings at the Temple of the Sacred Tooth Relic and towards the evening you will be taken to enjoy a cultural dance show in Kandy. Your night stay will be at The Golden Crown hotel. After a city tour of Kandy the next morning, you will begin your journey to the beautiful town of Nuwara Eliya. En route, you stop for a visit to the lovely Ramboda Water Falls. 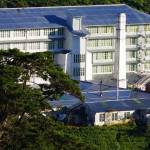 In Nuwara Eliya, your night stay will be at Heritance Tea Factory. 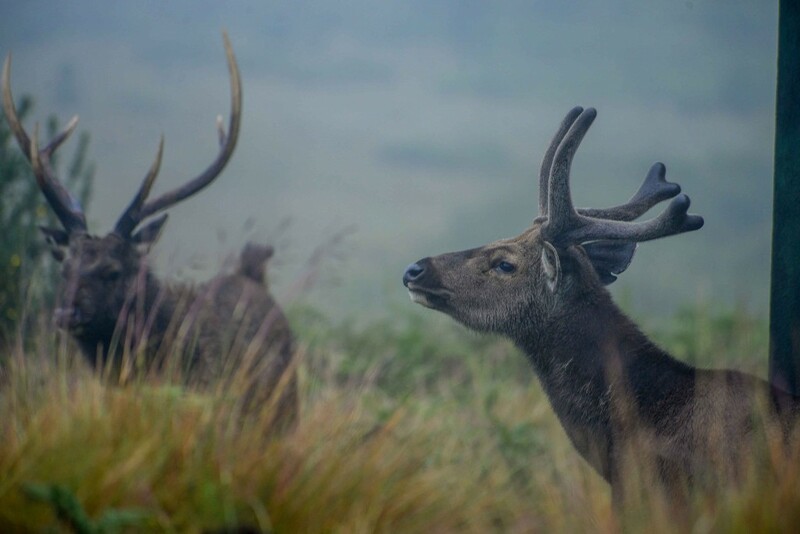 On day six, we take you to explore the stunning Horton Plains and the trail to the “World’s End” point. Also on the schedule is a visit to the lavish tea plantations, Pedro Tea Factory and a boat safari on Gregory Lake. At the end of the day, you return to Grand Hotel for the night. The following morning we have a beautiful train journey lined up for you from Nanu Oya to the breathtaking town of Ella. Upon reaching, you can visit the “Little Adams Peak” and the Rawana Water Falls. In Ella you also have the unique opportunity of taking part in a cookery class that teaches you how to make the authentic Sri Lankan Rice and Curry. Your overnight stay will be at 98 Acres Resort and Spa. On day eight you will head towards the South of the island. On the way to the city of Yala, you will visit the Buduruwagala Buddha Statue. 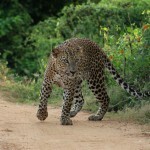 Once in Yala, you will be taken on an exciting Jeep Safari at the Yala National Park. Your night stay will be at Cinnamon Wild, Yala. The next day you will be driven to the neighbouring city of Mirissa. En route, you can visit the fish market as well as observe the old and mind boggling tradition of stilt fishing. Once you check in to Sri Sharavi Beach Villas in Mirissa, you can relax on the beach for the rest of the day. 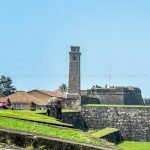 Early next morning we will take you on a whale watching tour in Mirissa and then drive you to Galle, where you will explore the Galle Dutch Fort. Your next stop will be in Bentota, which is also on the southern coastline. Vivanta by Taj is the hotel you will be staying over for the night. As you approach the end of this Sri Lanka family tour, days eleven and twelve are completely dedicated towards relaxing at the beach, giving yourself a nice sun tan and spending quality time with your family. On day thirteen, you will begin your journey to Colombo. 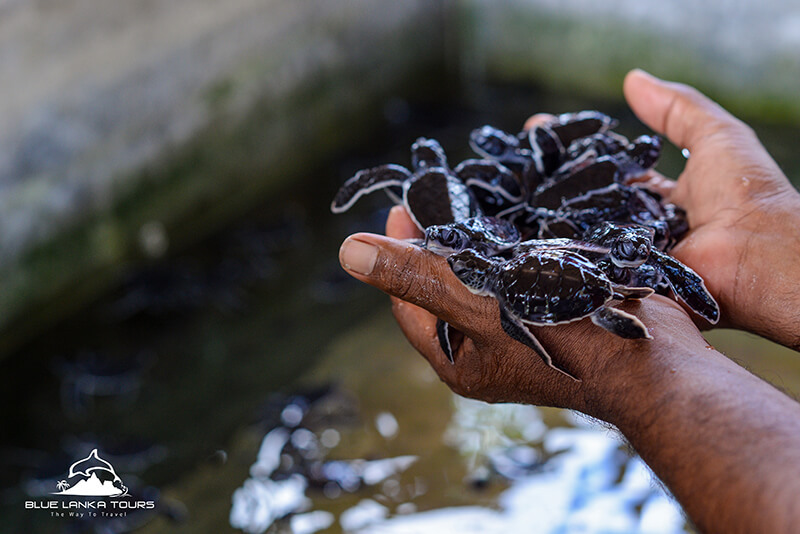 On the way, we have lined up a visit to the turtle Hatchery and a boat ride on the Madu Lake. Once in Colombo, your night stay will be at Galle Face Hotel. Day fourteen is assigned for exploring the city and doing some shopping, provided you have sufficient time before the departure of your flight. You are now at the end of the wonderful and luxurious tour with Blue Lanka Tours. What entails a family holiday to Sri Lanka? A family holiday in Sri Lanka is bound to be an incredible experience. Whether you are looking at traveling with parents, grandparents and offspring or simply with a group of cousins your age, Sri Lanka has family adventure holidays for all age groups! 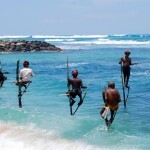 Sri Lanka has appeared in Lonely Planet’s best places to visit in 2019 because of its versatile mix of religions and cultures, history and timeless temples, rich wildlife encounters, popular surf scene, and most of all – the warm and welcoming people of Sri Lanka. When choosing a family holiday destination, many concerns arise about the suitability of taking your family along with you. 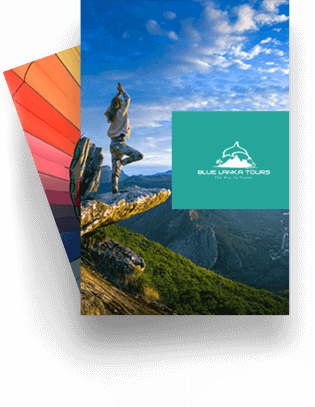 Blue Lanka tours cater to your every requirement and are extremely flexible in preparing an appropriate itinerary for you. Our team of expert travel consultants is here to address all your concerns for a Sri Lanka family tour. Is Sri Lanka a family friendly holiday destination? Undoubtedly, Sri Lanka is a family friendly holiday destination. You will find activities and adventures to entertain your five year old children, your spouse, and your parents. From a simple swim in the clear waters of the Indian Ocean to a thrilling air taxi ride across the island, Sri Lanka has it all. What are some adventure/activities related concerns for a family tour in Sri Lanka? What adventures are there in Sri Lanka for a family holiday? What are the best places to visit in Sri Lanka with your family? 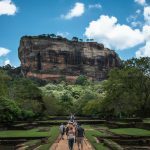 Family holidays to Sri Lanka most often cover destinations such as Kandy, Nuwara Eliya, Ella, Anuradhapura, Sigiriya, Yala, Mirissa, Galle, Bentota, Colombo and Negombo. 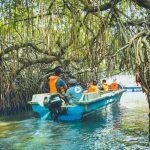 While there are many more towns to visit in Sri Lanka, these are some of the best places covering beaches, hill country, history and wildlife in Sri Lanka. What are the types of family holiday packages available in Sri Lanka? Beach holiday – takes you to stunning beach panoramas such as Passikudah, Tangalle, Unawatuna and Galle. Luxury holiday – pampers you with the most exclusive family holiday resorts across the island. Hill country holiday – explores breathtaking sceneries in Sri Lanka, covering destinations such as Ella, Nuwara Eliya, Haputale, Kandy and Hatton. Adventure holiday – focuses on thrilling adventures such as trekking, white water rafting, jeep safari, rock climbing, water sports and so on. What are the main attractions in Sri Lanka dedicated for children? What does each region in Sri Lanka offer for kids? West and South – best beaches and exclusive child friendly resorts to relax and build a sand castle. 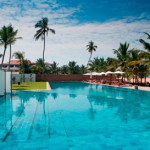 Are there any accommodation related concerns for a Sri Lanka family holiday? Are the hotels/resorts in Sri Lanka child friendly? Majority of the holiday resorts are child friendly, with facilities such as family suites, swimming pool, children’s play areas, and so on. What are the best family holiday resorts in Sri Lanka? How do I book a family holiday in Sri Lanka? Simply get in touch with our team at Blue Lanka Tours via phone or email, mention your dates of travel, number of passengers travelling and other preferences. Accordingly, we will prepare a suitable itinerary for a luxury family holiday in Sri Lanka. What are some other concerns regarding a family holiday in Sri Lanka? Is it safe to travel to Sri Lanka with family? It’s been almost a decade since the end of the civil war in Sri Lanka (May 2009) and since then, tourism has only been on the rise. Hence Sri Lanka is unquestionably a good family holiday destination in terms of safety. How many days is ideal for a family holiday in Sri Lanka? Two weeks would be a perfect duration to cover all the child-friendly and a few adult appropriate highlights in Sri Lanka. Of course if you’ve got more time, you can cover more places and spend more time relaxing and taking in the natural beauty. What age group children would enjoy best in Sri Lanka? If you are wondering what your grandparents are going to do while you want to surf, hike or go white water rafting, don’t sweat it. Sri Lanka’s coastal areas are stunning and provide perfect spots for a relaxing sun tan with a chill cocktail in hand. The hill country also offers breathtaking views that the older generation can unwind amidst while the younger ones go trekking. In Kitulgala, camping and bird watching are activities that can keep your grandparents occupied while you enjoy a thrilling white water rafting adventure. On the other hand, if you are looking for adventurous activities to spend time with your grandparents, hot air ballooning, whale watching jeep safari and elephant orphanage visit are some perfect outings. So as you can see, Sri Lanka is a good family holiday destination for all age groups! What to pack when travelling to Sri Lanka with young children? Sun screen lotion is a good idea due to the strong heat beating down on the island. Diapers and other snacks for children are available at supermarkets throughout the country. Eating concerns when on family holidays to Sri Lanka. Warm Sri Lankan hospitality is the reason most restaurants will cater to fussy eaters. Child-friendly western style dishes are on the menu at most eating joints. Sri Lankan dishes that children will enjoy are pittu, hoppers, string hoppers and rotti flatbreads with a variety of fillings. Tropical fruit varieties available in Sri Lanka are many. Hence kids are bound to enjoy something or the other. Mum, dad, children and grandparents MUST shop to the max in Colombo!